BT today announced a contract with Bridgestone Europe for new network infrastructure and managed cloud services connecting more than 200 sites across 20 countries in Europe, Middle East and Africa (EMEA). Bridgestone Europe, with headquarters in Brussels and serving markets across EMEA, is a wholly owned subsidiary of Tokyo-based Bridgestone Corporation, the world’s largest tyre and rubber company. BT will securely connect 150 retail stores and more than 50 offices, manufacturing plants and testing facilities using both BT’s global IP Connectvirtual private network and its high performance internet service. BT’s Connect Intelligence service will ensure high performance of Bridgestone’s business critical applications. Leveraging the new network infrastructure, Bridgestone will deploy BT’s One Cloud Ciscoportfolio of secure, cloud-based communications to enhance collaboration between employees as well as with customers and suppliers. Employees will also have access to powerful collaboration tools, such as Cisco WebEx, and enjoy high definition audioconferencing services, all managed by BT. 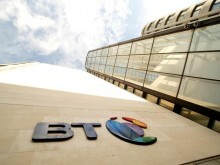 Across Europe, call centre agents will benefit from using BT’s Cloud Contact Cisco. The omni-channel contact centre service will allow customers to interact with Bridgestone agents through a wide variety of channels, including voice, e-mail, SMS, web chat and social media. BT will also manage Bridgestone’s in-office - and in-store - fixed and wireless local area networks to enable employees to securely access the corporate network. BT’s Cloud of Clouds portfolio strategy is about allowing customers to connect easily and securely to the applications and data they need, regardless of where they’re hosted and where they are based.